"Tellurium Q® is often asked what do we do that makes our cables perform so well? The simple and unsatisfying answer is that we do a lot of little things together that mount up to be very important in preserving the relative phase of a signal. People assume that to get the best performance the “fastest” conductor – pure silver of something even better has to be used. Which is also one of the reasons for the pointless chasing of nines as I call it i.e. copper to 99.9999999% purity as if that is the single most important factor for a cable! Surprisingly, to get the most natural sound, it is not just about merely conduction. This is the reason, any conductor from any cable manufacturer on this planet will act as an electronic filter and by that I mean that the various frequencies relative to one another get shifted with each material they pass through and are also affected by insulators, geometries, shielding etc.. The interesting thing is that materials affect ranges of frequencies in dissimilar amounts. It really is a finely tuned balancing act to make sure that you get a natural, transparent transmission. This takes a LOT more research than people would imagine. Even down to the solder that we use. Not standard by any means for the audio industry and we have tried numerous mixes and diverse percentages of silver in the solder but at the end of our testing and development we find we have a solder with no silver whatsoever (no lead either). Even the process by which we solder and the temperature/time, “envelope” to complete the process is tightly controlled and specified and it is not the same for each cable either! The connectors may look relatively ordinary but have multiple layers of plating and not always the material you would expect. There is even more detail and precision within the plating process itself, because we specify the thickness of the plating and what has to be in the plating bath and what should not be. These are just a couple of tiny details that make up just one small part of one cable. The detail, precision and care is the same for the rest of the products. And each little step needs a controlled listening and testing against other options which is immensely time consuming but hopefully the results speak for themselves. 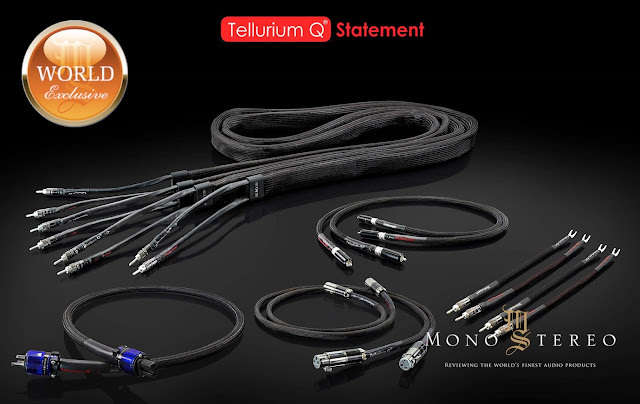 Tellurium Q® Statement of the performance that we think is currently possible. We hope that you enjoy your system more with your Statement cables.